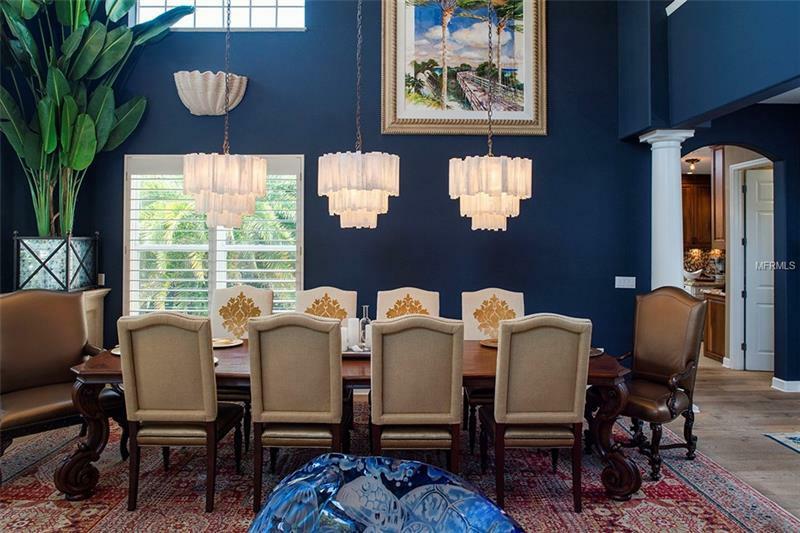 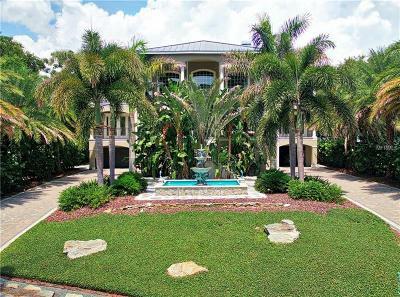 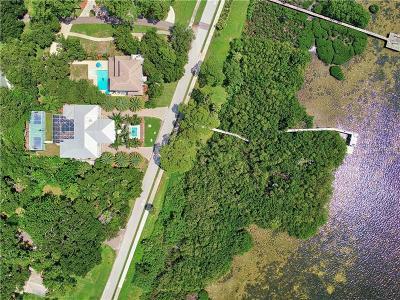 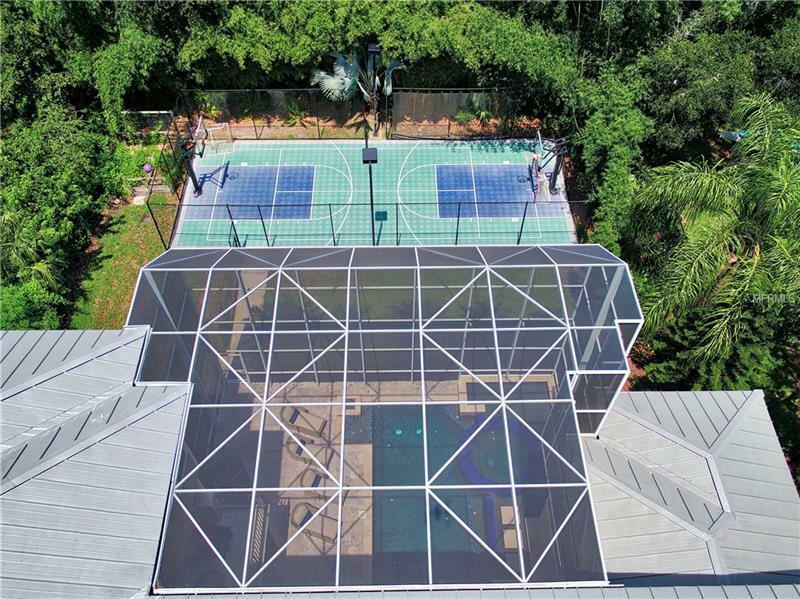 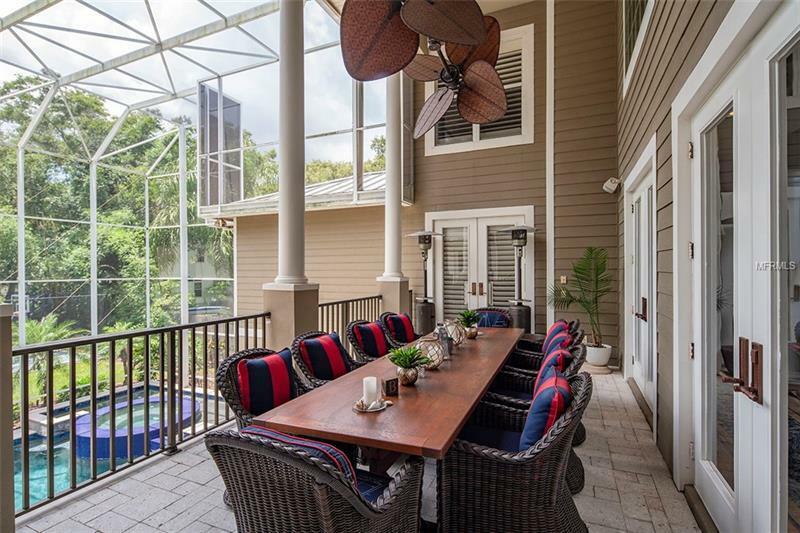 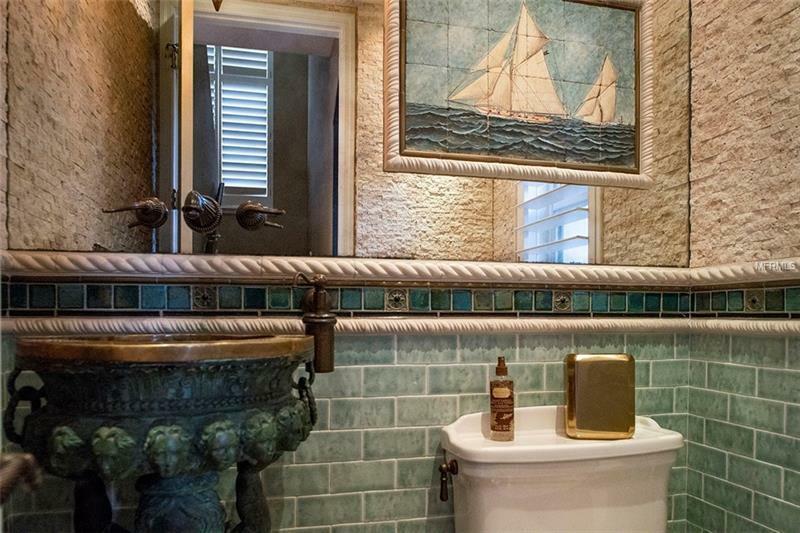 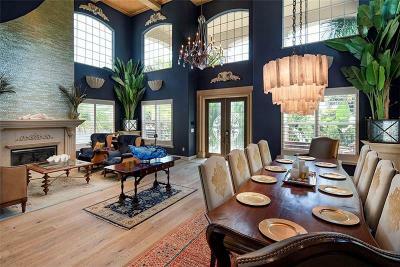 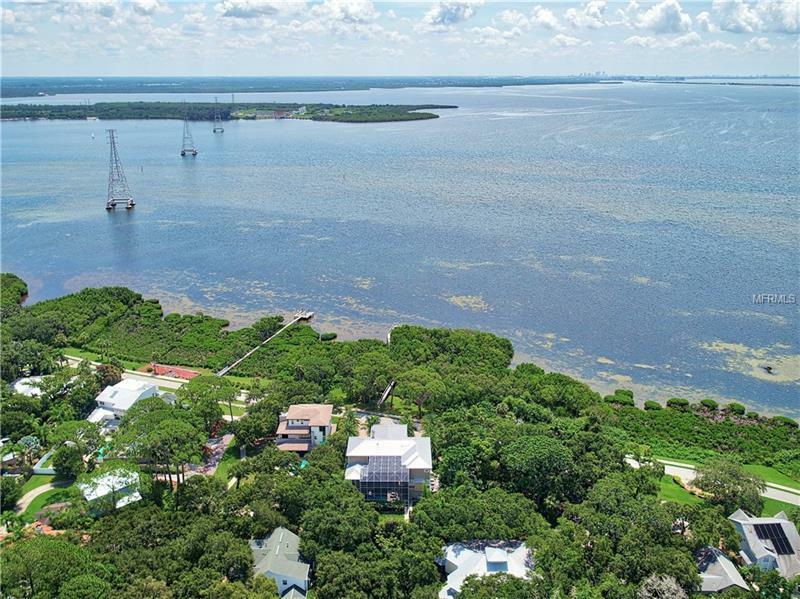 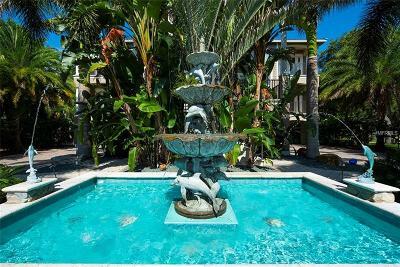 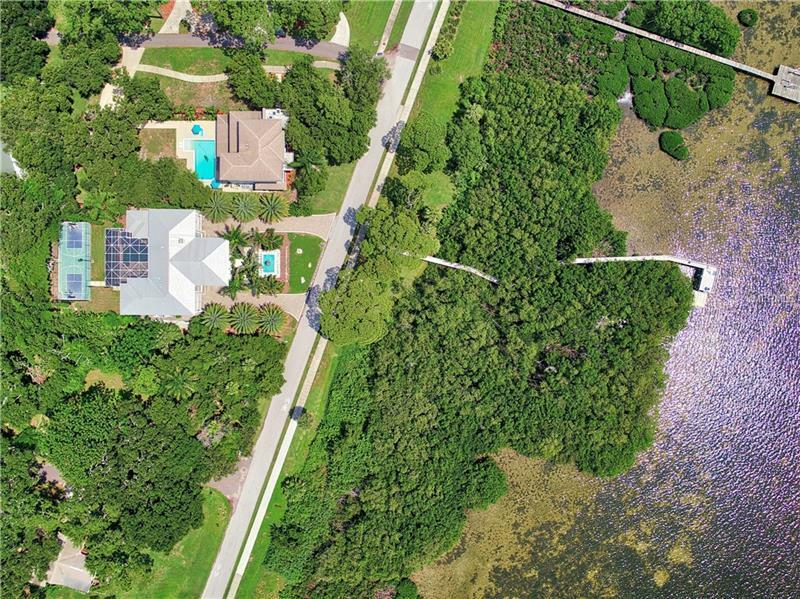 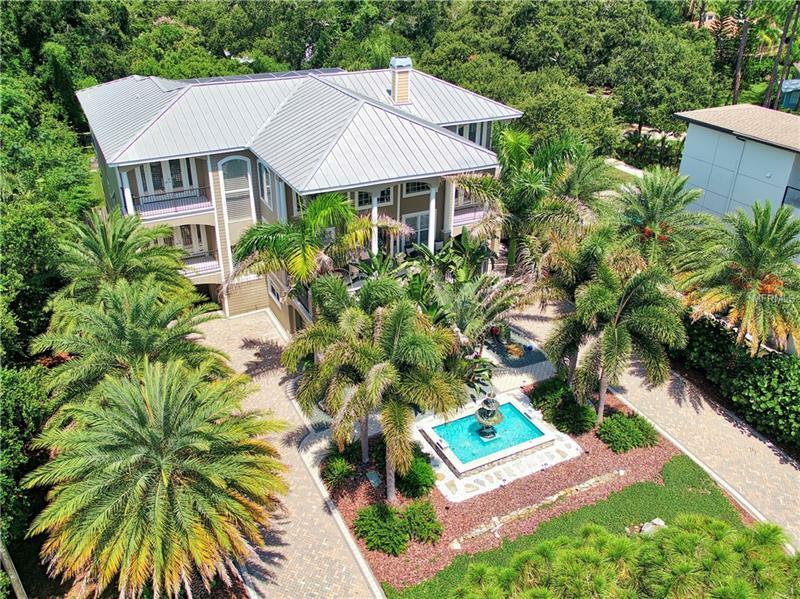 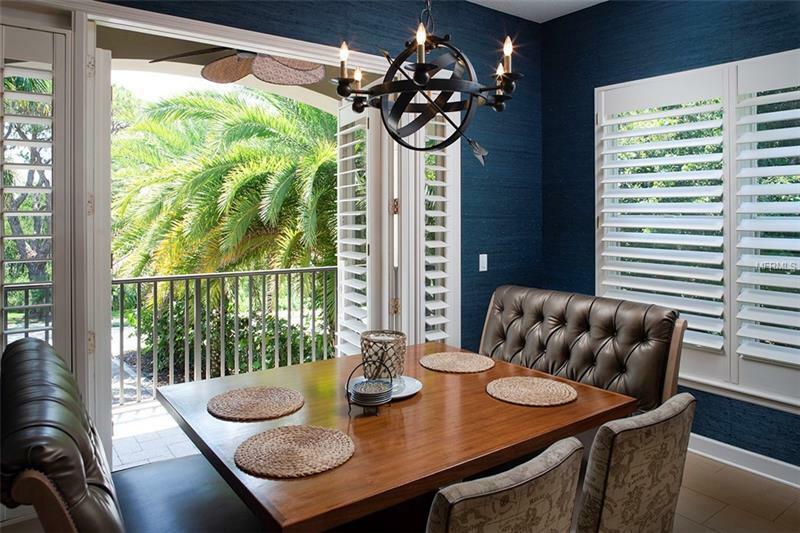 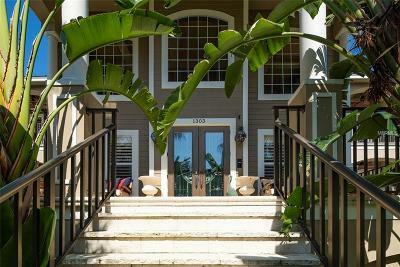 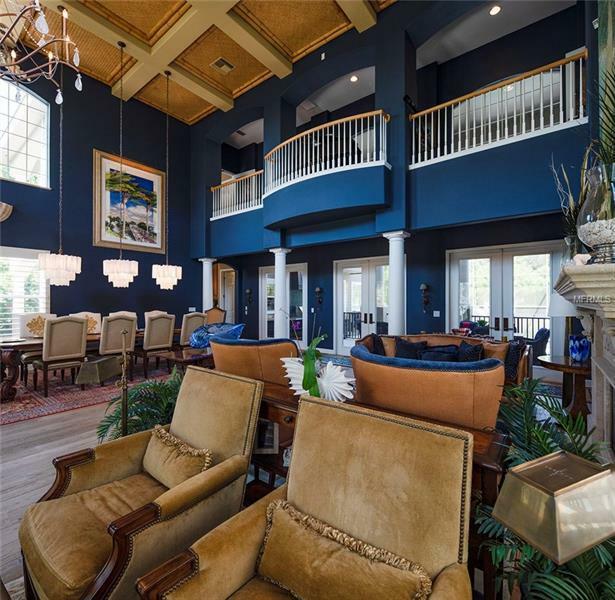 Luxurious Tampa Bay waterfront living awaits you at this one of a kind custom built home in Safety Harbor previously featured in a local magazine! 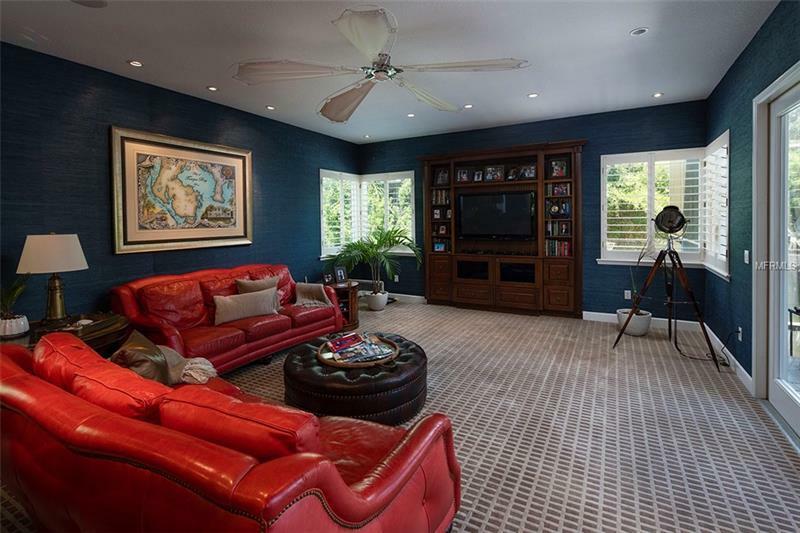 Upon entering this completely remodeled and professionally decorated 3-story home w/ 5 beds + office + media room 4.5 bath and 5670 SF you will be impressed by the living/dining room feat. 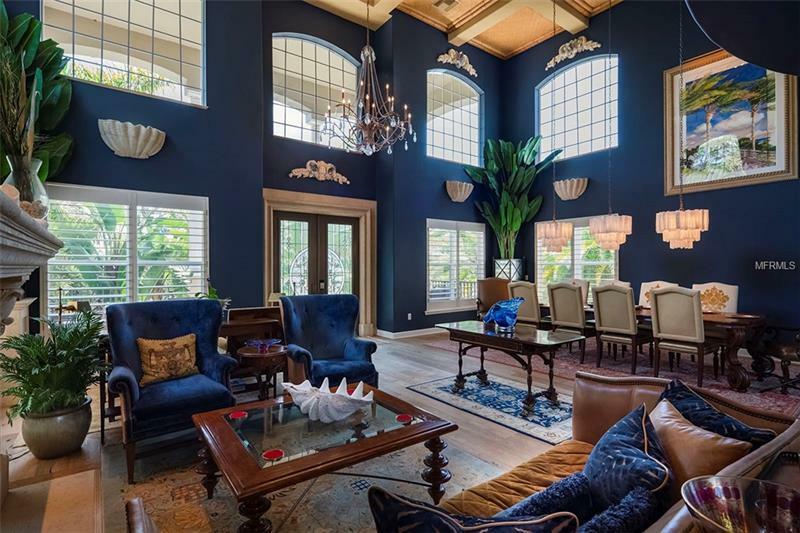 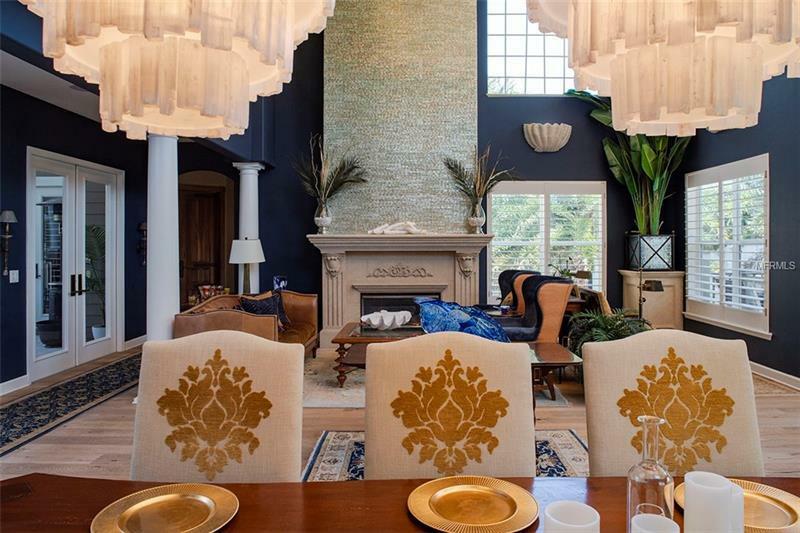 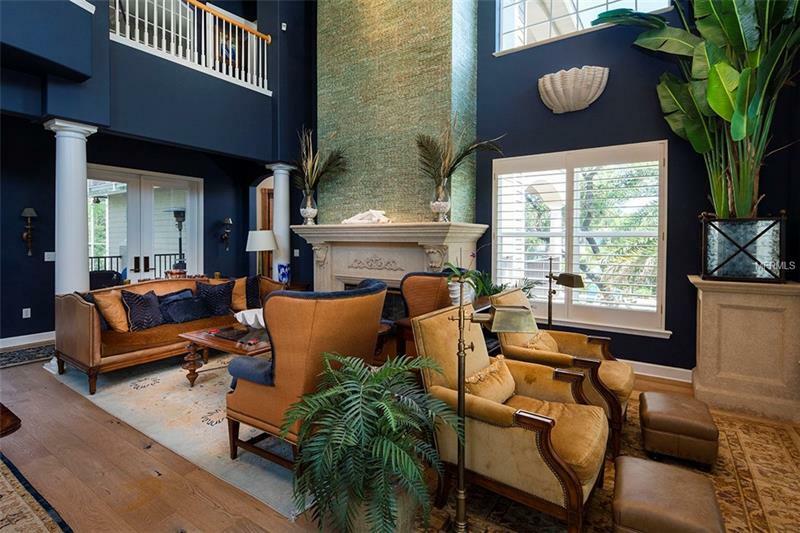 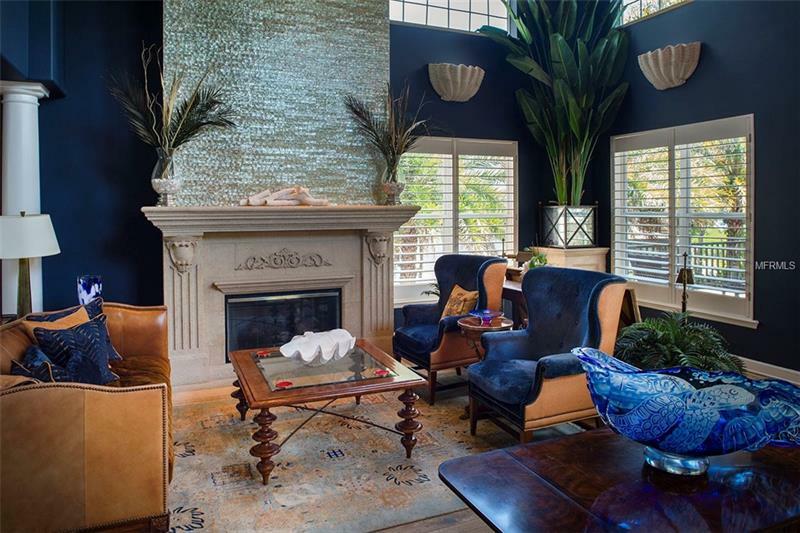 sky-high bamboo coffered ceilings pillar columns a lavish fireplace stunning chandeliers in the dining area an abundance of windows providing endless natural light and beautiful wood floors. 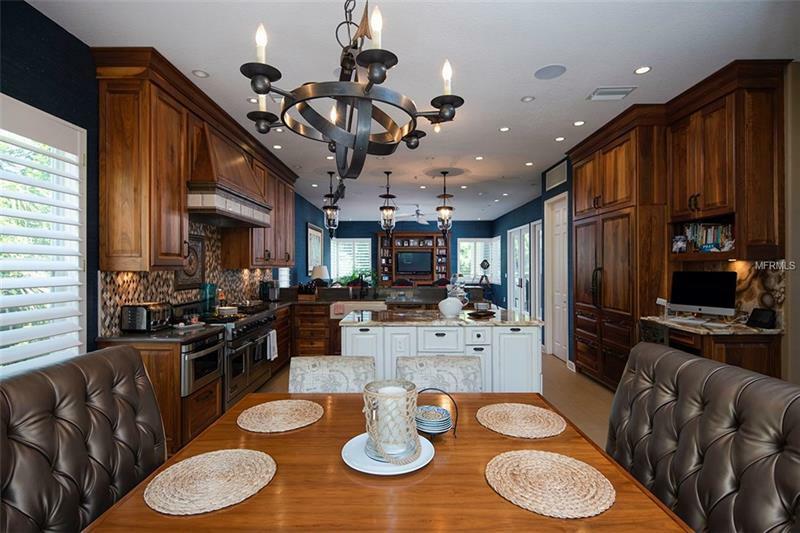 To the left is the amazing eat-in kitchen feat. 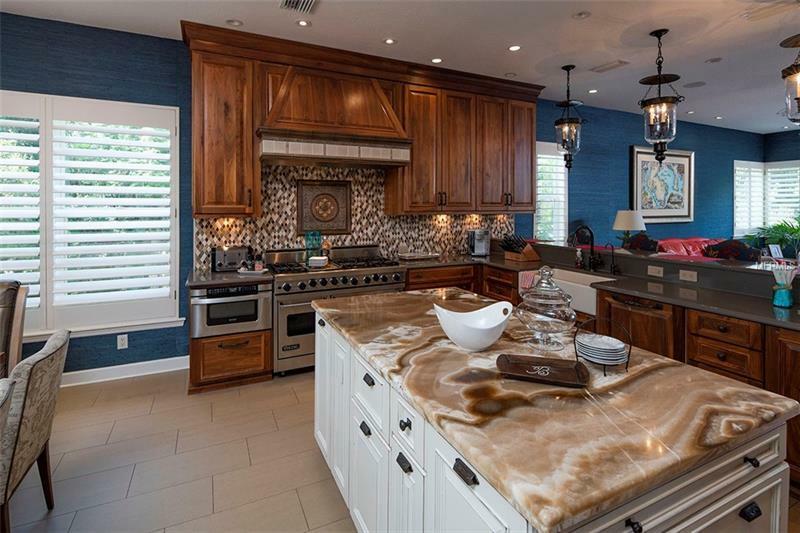 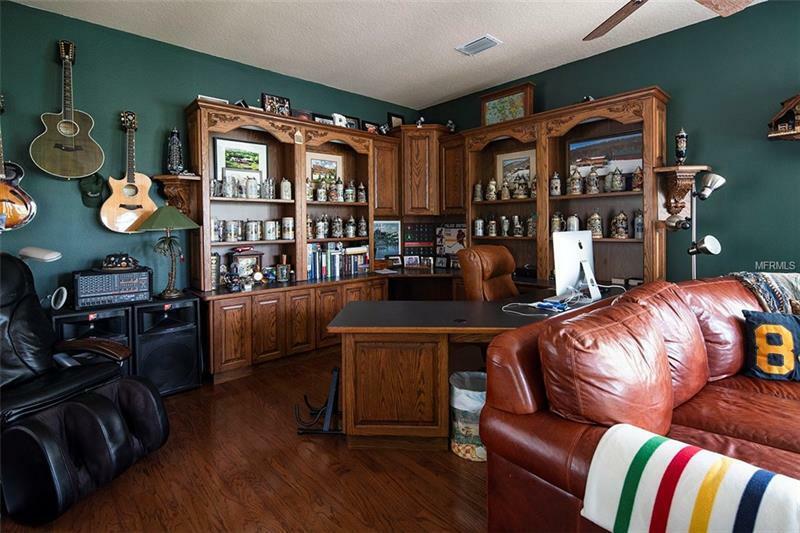 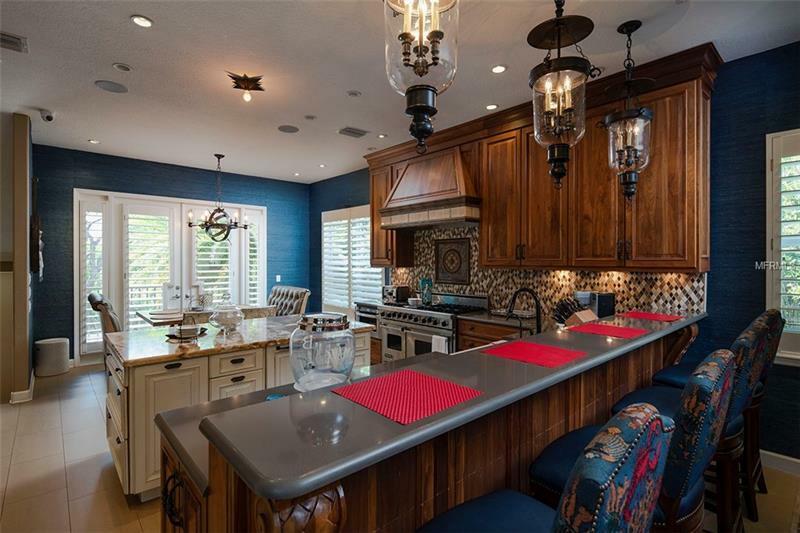 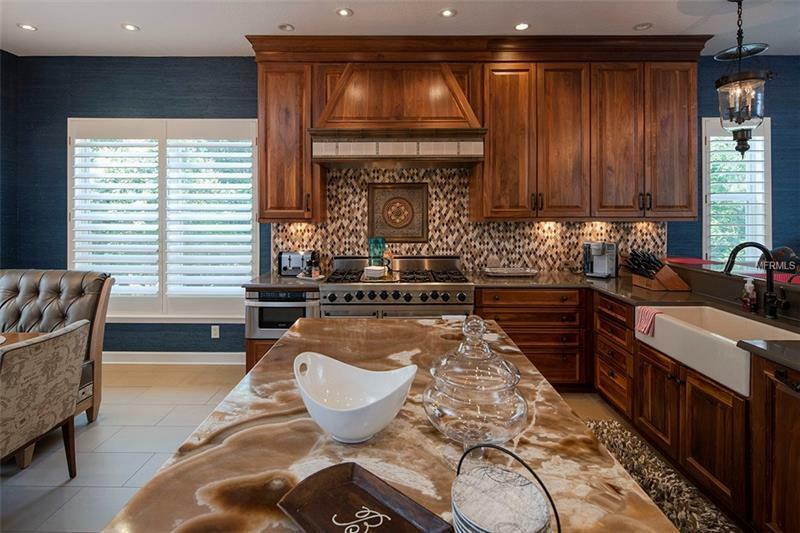 a large island w/ beautiful stone countertops solid wood cabinets tiled backsplash stainless steel Viking cook range breakfast bar and walk-in pantry. 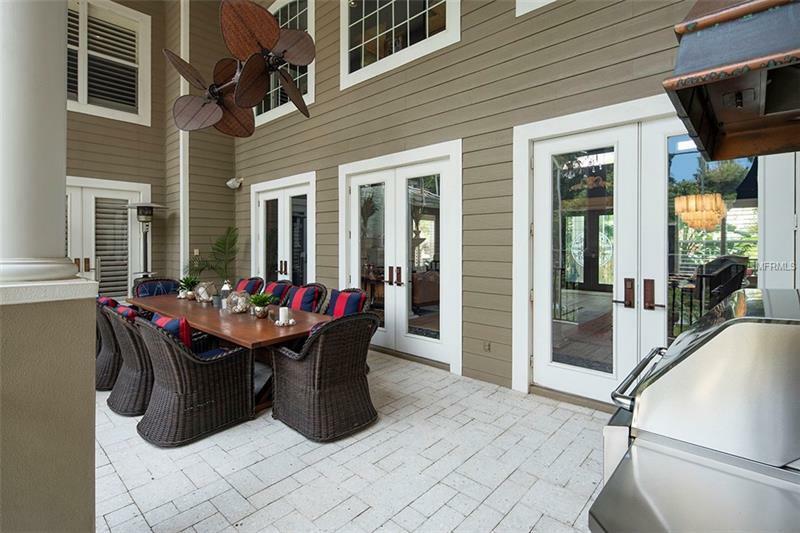 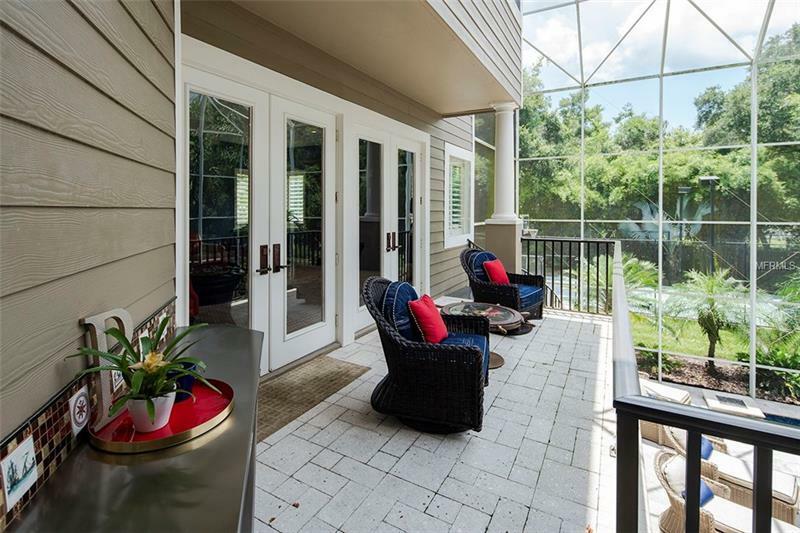 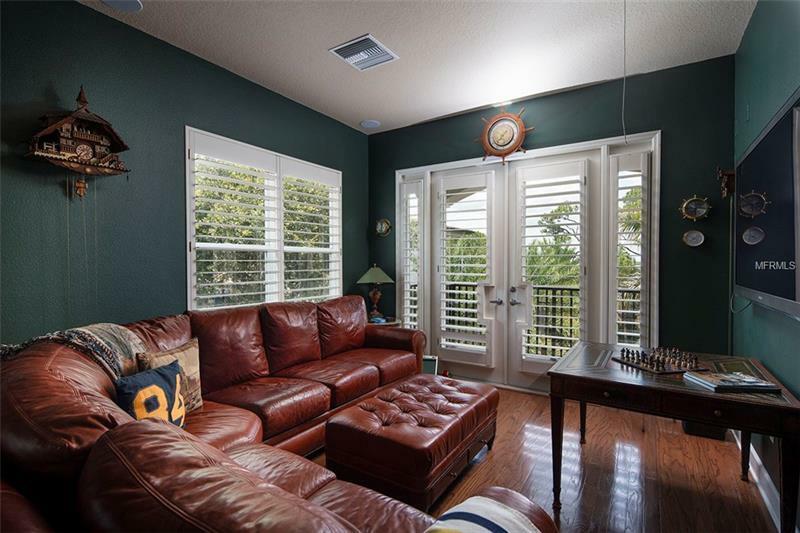 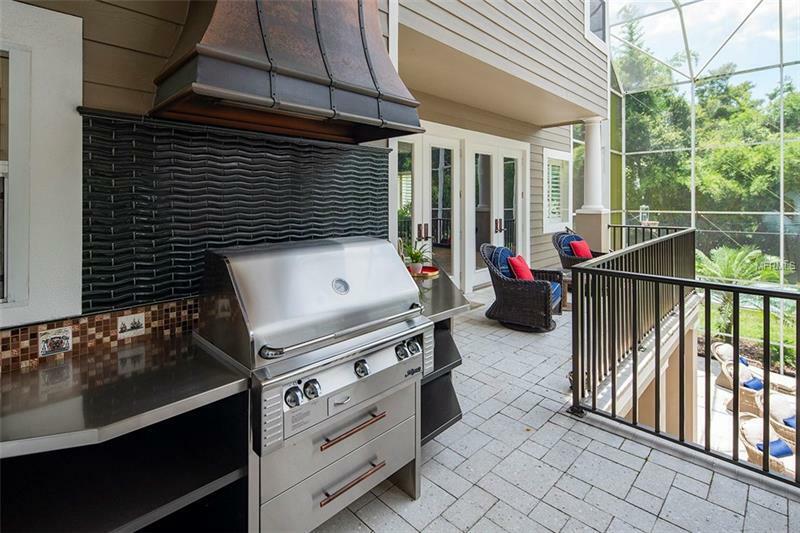 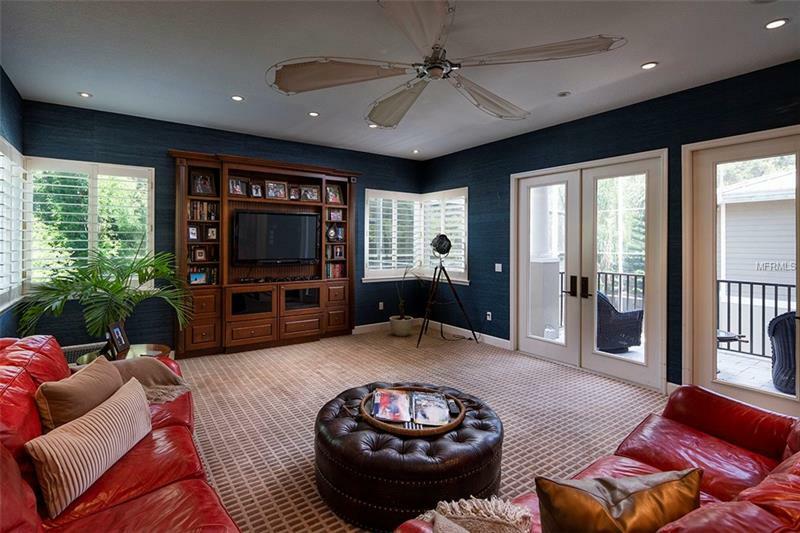 Continue into the spacious family room w/ a built-in TV unit and French doors that lead you out to the enclosed patio that overlooks the heated pool/ spa with an outdoor grill and dining area and sport court. 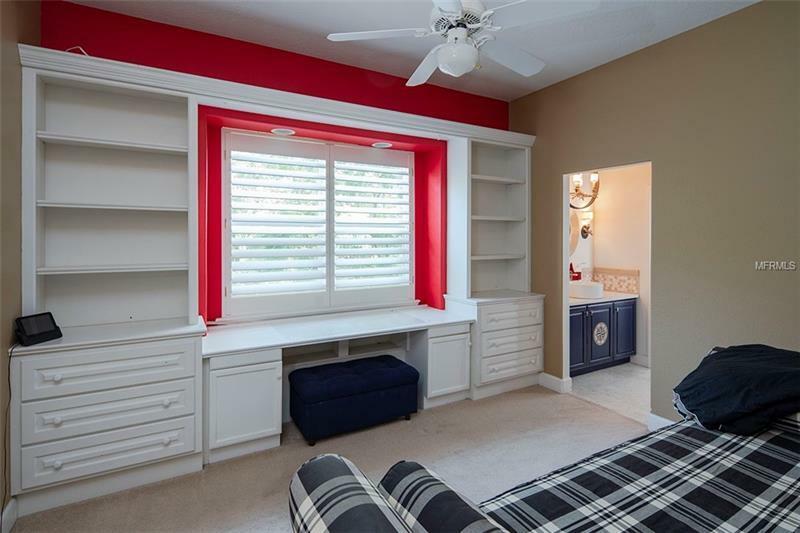 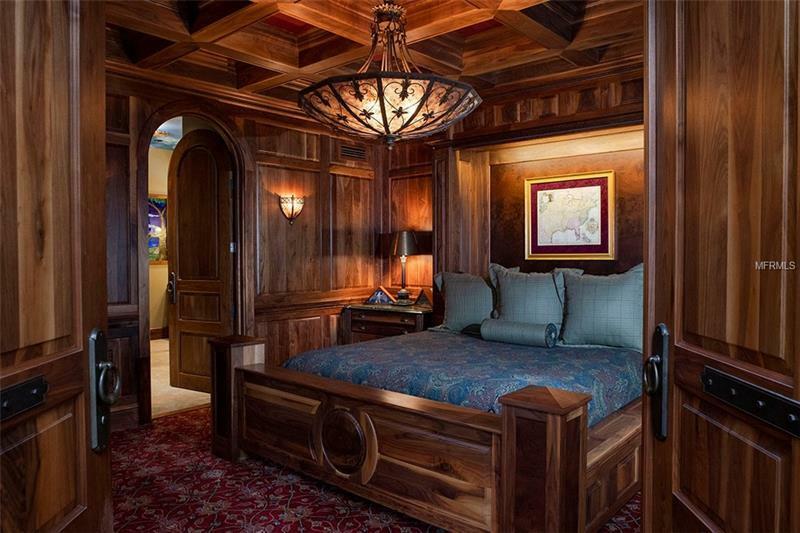 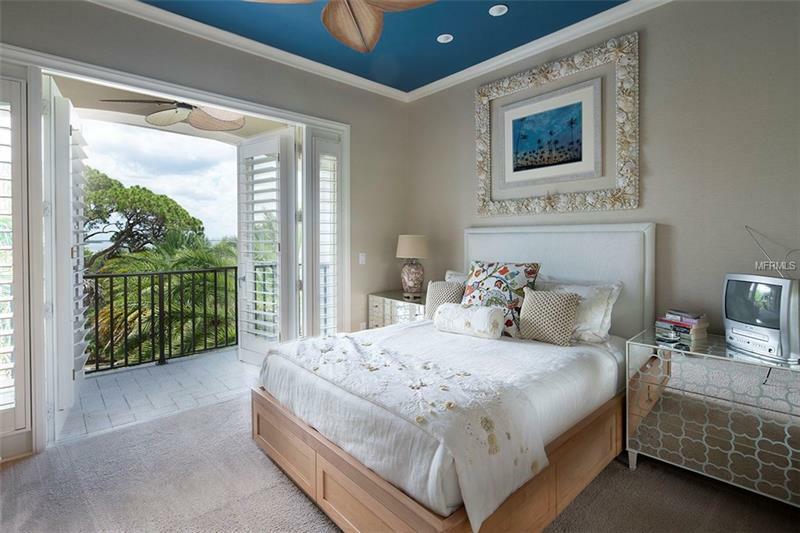 Back inside and to the right of the home is the magnificent master suite feat. 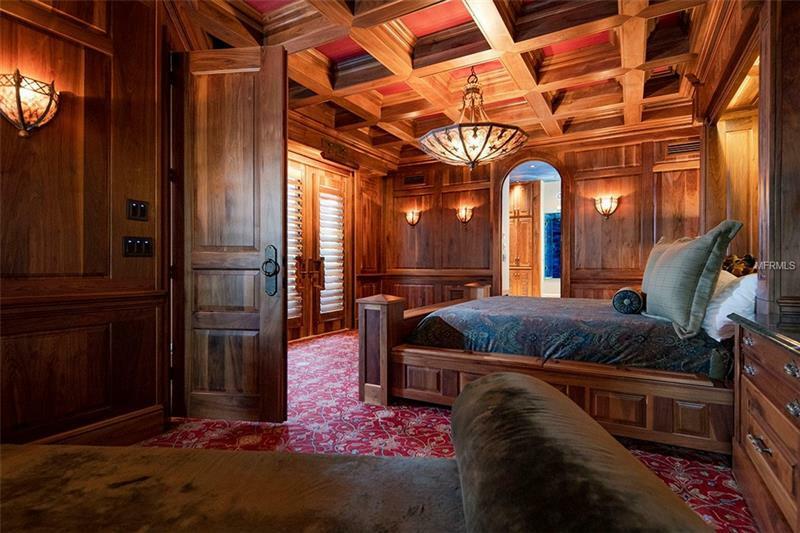 beautiful wood walls that continue to the coffered ceiling. 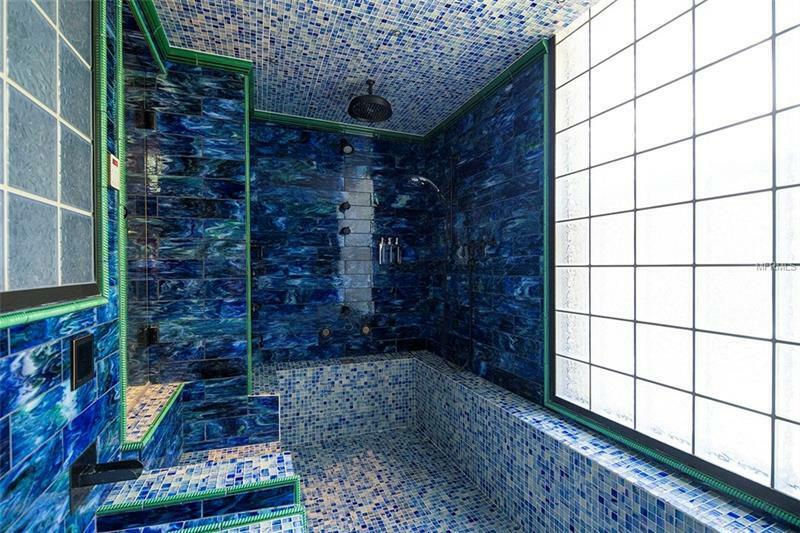 The deluxe en-suite feat. 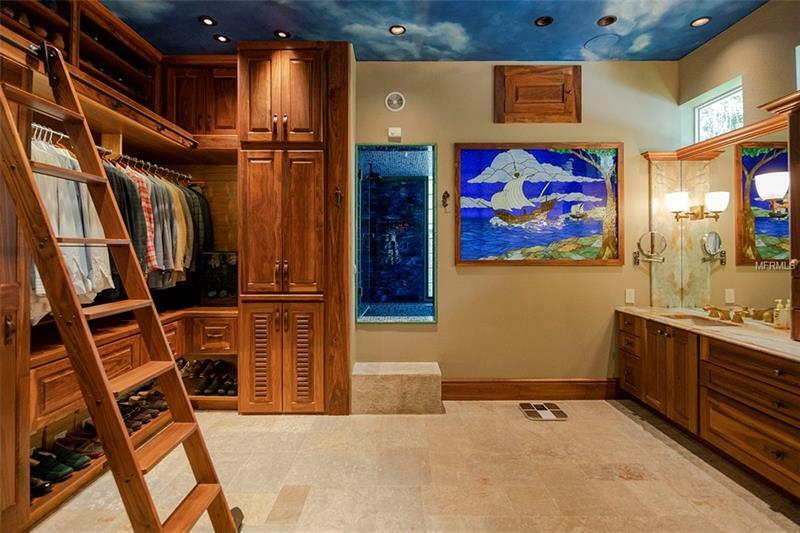 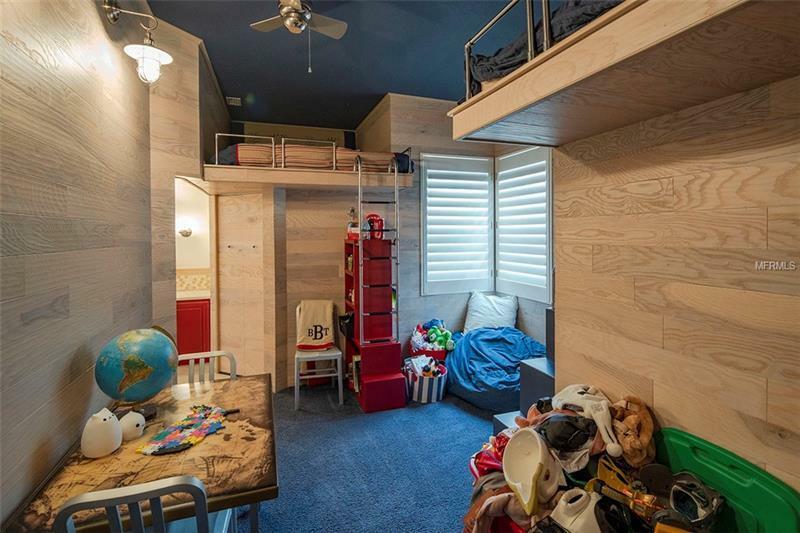 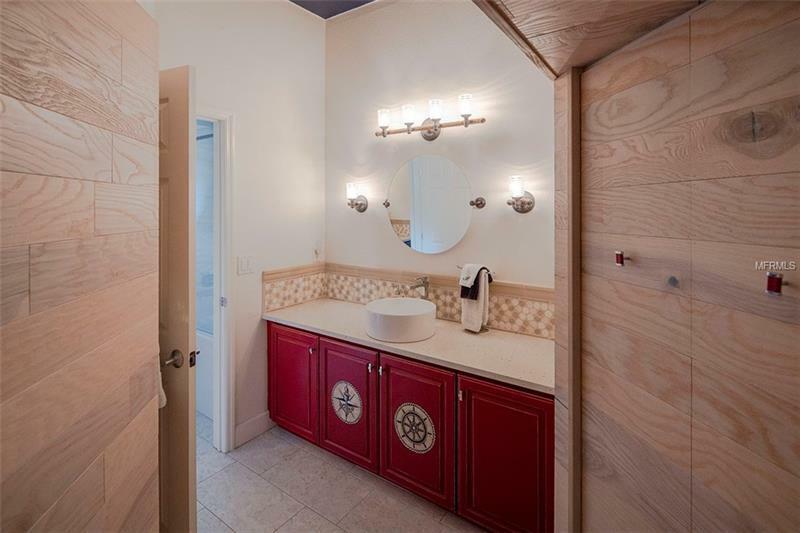 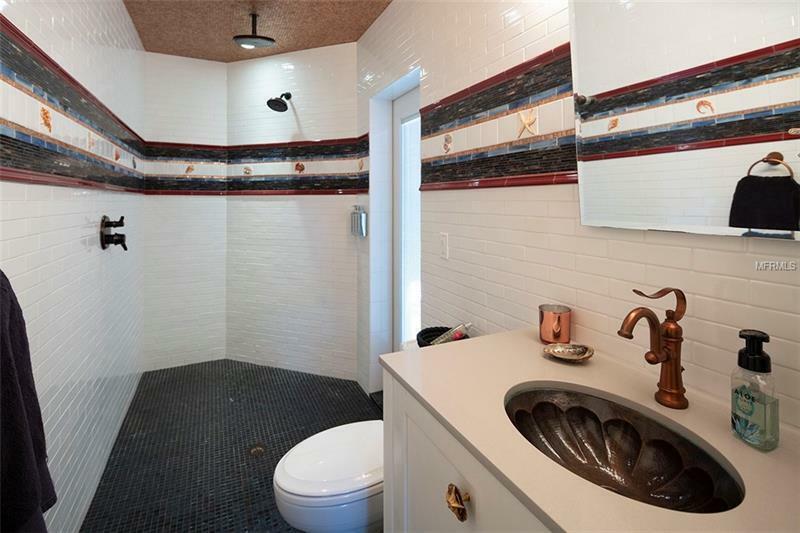 a custom closet dual sinks and a walk-in shower/bath combo that doubles as a steam room. 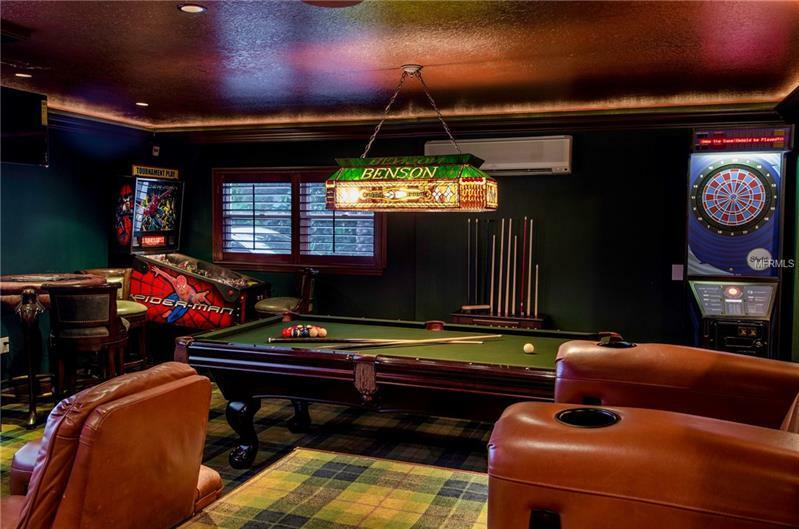 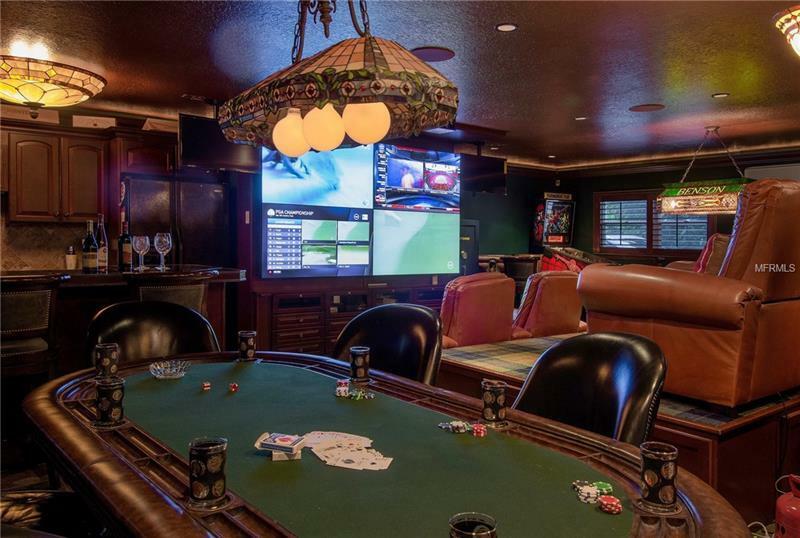 Head downstairs to the amazing entertainment area complete w/ a bar home theater set-up and space for playing pool or a game of poker. 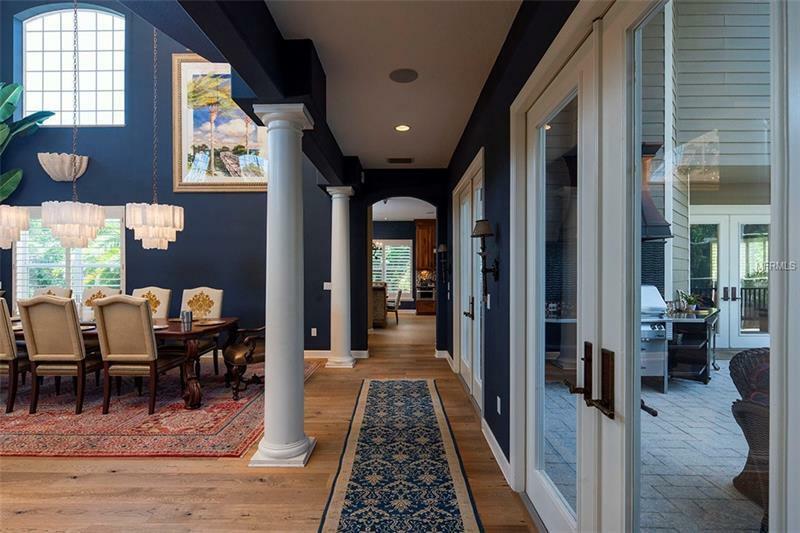 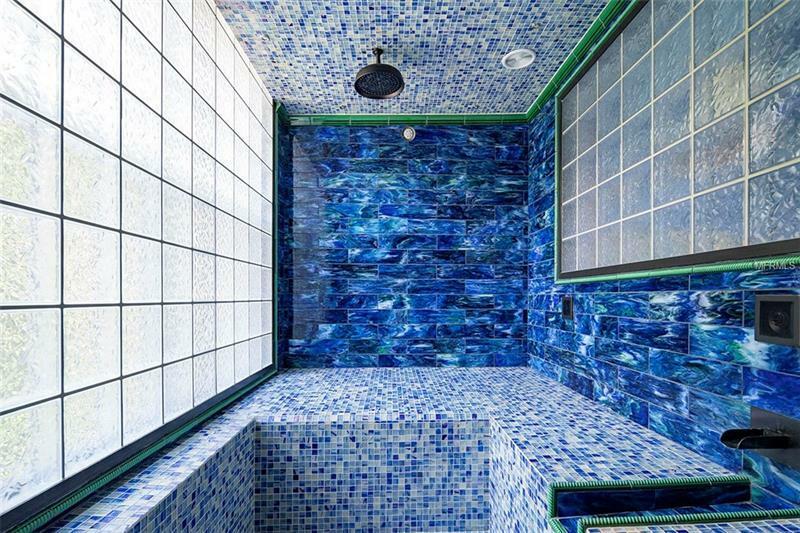 So much more to appreciate about this home as it is a must see! 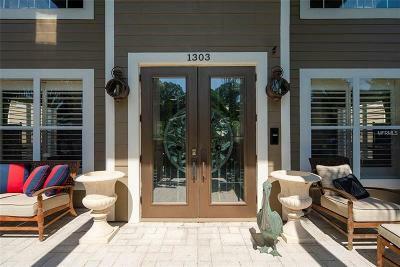 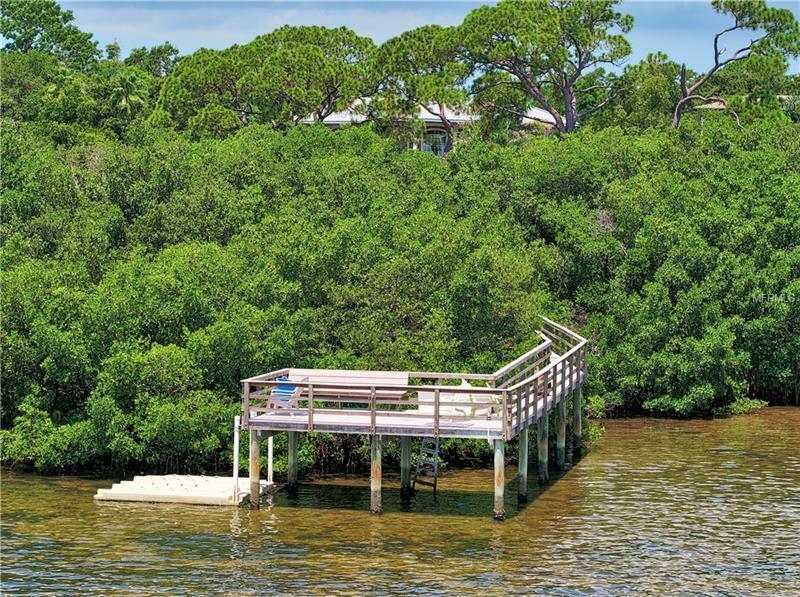 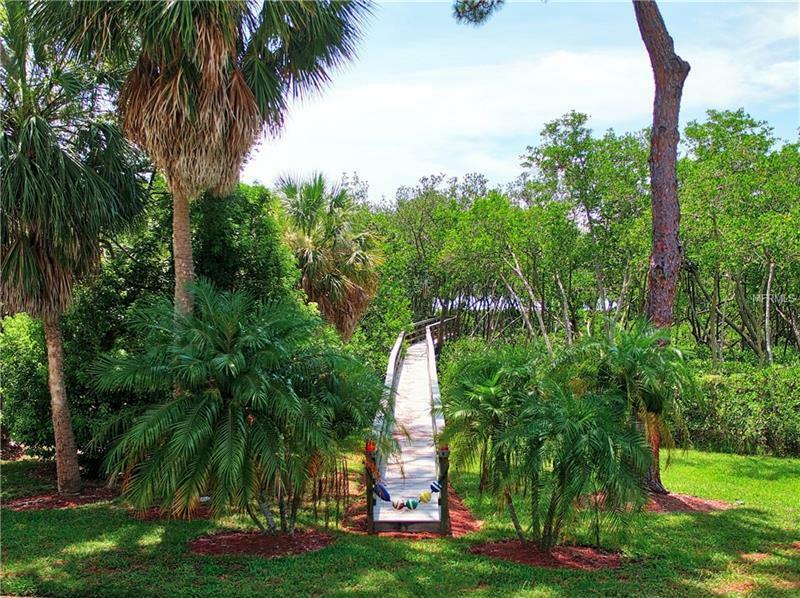 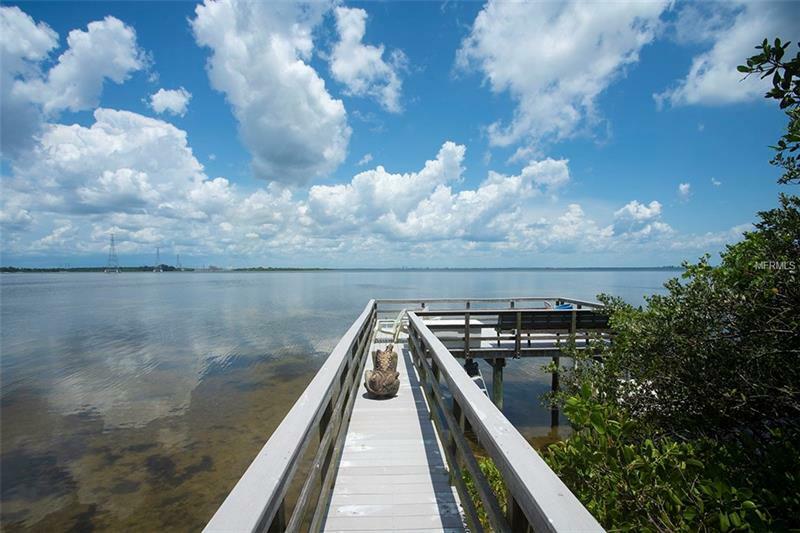 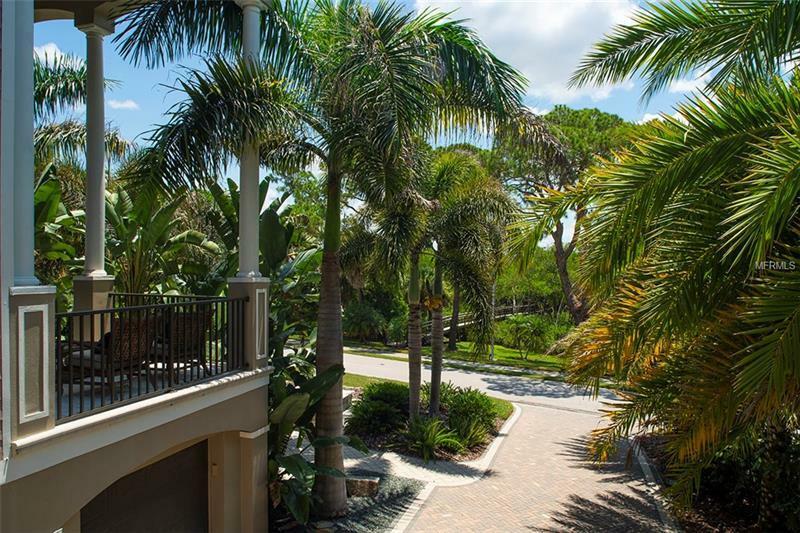 Best feature of all is the private dock w/ sweeping views of our beloved Tampa Bay!